This entry was posted on Thursday, September 22nd, 2011 at 9:39 am	and is filed under Uncategorized. You can follow any responses to this entry through the RSS 2.0 feed. You can skip to the end and leave a response. Pinging is currently not allowed. My daughter and son-in-law have just moved to the Chicago area. They are living in Aurora right now. They need to find a good church to attend. They are both Christians but are looking for a good church. Any suggestions? My daughter is so homesick (moved from Kansas) and could really use some Christian fellowship. What an awesome post. I was thinking this morning about how we, in America, worry so much. It seems to me that we who don’t struggle for basic necessities are consumed by worry over our exesses. People like Kiran don’t seem to have these worries. They are so thankful for what they do have that they don’t worry about what they don’t. I could be wrong, that’s just how it seems to me. Thank you Melissa, I have read this post over and over and it has challenged and convicted me each time. I am wrestling with the question now of what will I do with this? Thanks for your authenticity and for sharing your heart. There are no coincidences in Christ. This theme is exactly what I’ve been tripping over the last several weeks as I try to come to grips with what it means to walk “the narrow road.” Thank you! Hey Ruth, I’m not far for you. I’m in Sparta. Small world. How easy it is to forget God’s leading. God give me a thankful heart. Thanks Melissa for the reminder that God cares much more about our hearts than anything else. What an amazing experience, thank you for sharing!! Great post! Sometimes i think all the choices and access we have in the US for anything/everything makes it difficult to feel blessed and content for any extended period of time. There’s always the idea of more. Your post reminded me of an idea i’ve had the last few years to find a devotional/study around gratitude for the weeks leading up to Thanksgiving(and then one for the advent season leading up to Christmas)to keep the focus on what really matters in the midst of it all. Wondering if you or anyone in siestaville has any book ideas? Thanks for the suggestion Ola – appreciate it! What a blessing your post is to me today. God bless you for sharing today. A VERY good lesson to me, indeed! What a joyful smile! Simply thank you… This has spoken deeply to me. Thank you for the beauty of this revelation. We lack absolutely nothing when we have God as our good Father! Oh that we would have eyes to see that He is all we need and if we have Him we have everything, more than enough! I got tears in my eyes and chills down my arms as I read this. I have so much more than she does,not fancy so but much more. I look at her beautiful picture and swallow the lump in my throat and wonder-Does my face reflect the love and the joy of the Lord that is so obviouly radiating from hers? Are my lips so quick to sing His praises? Bless her heart. I wish I could take her picture and hang it on my wall when I start whining about how little I have…I guess I’ll just keep it here in my heart and smile when I think of her and pray for her always. Thanks for sharing. Thanks so much for sharing your experience, I always enjoy hearing from you on here. This story has really humbled me, and made me reconsider the blessings and things I take for granted everyday. I need a healthy reminder of that everyday, thanks! 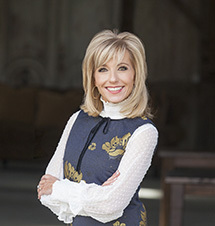 Melissa, just before I went to LPM blog my husband and I were talking about God providing. We run a small 501c3 missions organization and it has been really tough since the crash in 2008. God has been faithful. He has continued to provide the “enough”. I on the other hand have continued to fret and worry. The enough really is enough for me. I just want to “see” the “enough” 3, 10, 15 years out. Your entry stirred my heart to repentance over my lack of confidence in my God. It is also a great reminder as to why we are here and what we are called to. There is a ‘movement’ right now in the church that is highly critical of short term missions. There stance is that it is more damaging than helpful. A book that they use to support their opinion is “When Helping Hurts”. I would like to see this issue discussed here, especially in light of this post. Surely, you’ve heard of this ‘movement’. This story blessed my heart, when all we have is Jesus, we have abundance. THANK YOU Melissa for sharing this beautiful story! 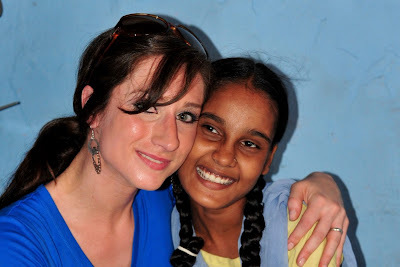 What a blessing to experience the beauty of Christ through the eyes of Kiran! Jennifer – I just finished reading “One Thousand Gifts – a dare to live fully where you are” by Ann Voskamp. One of the BEST books I’ve ever read about seeing God’s perfect gifting in all things, a call to a heart of gratitude. You’ll love it. Thank you Melissa for this post. My cry to the Lord is to really change my heart, that He really would be all that I want. I know fully that He is all I need, but I want my want-to to reflect the Truth of His Word. Thanks for the book suggestion Sharla! I don’t even have words to speak right now. This post is so timely for us. We’re are in the middle of a major sell off trying to get out of debt. Or so I thought. Today I was sad about selling a pair of shoes. SERIOUSLY? Your post touched (convicted) me in a way that I can’t even explain. Thank you. Enough is probably my favorite song on Shaun’s album. And now even more so. Thank you. I had just said to myself before I logged on to the blog, “We haven’t heard from Melissa in a while” and then discovered you had written. I love hearing from you! …and this post was no exception. I struggle so much with the questions you presented. Thank you for your candor and willingness to put these hard questions out there. I also appreciate your recognition that it wasn’t that that Kiran was proud of how little she had but rather how grateful for what she did have. I think that is the key because wether we feel proud of how little we have or much we have, the common denominator is PRIDE. We have to cling to gratitude because it takes the focus off of us and onto God and frees us up to offer all back up to Him and share with others as our hearts are compelled to and as the Holy Spirit leads. She just is radiant!!! I can see Christ’s love shining through her. Beautiful!!! I LOVED reading this!! When I saw for the first time a feeding center in Chiquimula, Guatemala, I realized how spoiled and sheltered I had been my entire life. There I sat thinking I had been “called” to Guatemala to help in any way I could, and God was changing me! My complete way of thinking! Thank you so much for sharing. God is using you in mighty ways to open eyes to see what He sees. What a beautiful post, thank you Melissa……matter of perspective…..wow! Thank you so much for your post! I have been up every night for weeks worrying about my own silly housing situation and feeling so sorry for myself. I’m due in 5 weeks with our second child and we’ve been blessed enough to sell our little starter home and now search for a larger home that we can afford on my husband’s salary as I try to stay at home with our children for as long as is financially possible. It is so easy to look at what I don’t have and can’t afford rather than being thankful for what I do have. What a word for me today. Thank you. Amen…amen. I had a similar experience and I will never be the same. Thank you for sharing and reminding me. God is so good. So I want to thank you for this powerful post and for the fact that for the remainder of the workday I will have a mascara stained face and foundaton streaks from reading this. A sign of too much makeup? Perhaps. An extreme challenge from the Lord to my own self-absorbed heart? Definitely. Thank you for showing me through His word, a different perspective. I remember when you first posted that last picture, and said it was right before you had a big ol’ ugly cry. It is beautiful how God has kept that experience fresh in your heart and helped it shape you to become more like his son, Jesus, who also thinks Kiran’s house is beautiful. Of course, He’s got a mansion prepared for her in heaven but you know He doesn’t really feel the wait like we do. Thank you for being real in your posts! You always manage to say what we’re all really thinking, which is nice and welcome. Melissa, Oh thank you for sharing this moment of wonderous truth in your life, as my husband and I head off to Uganda and Kenya to see where He would have us live until He calls us home, we experience the freedom we find from the “things” we leave behind. He is our life and this world is not our home. We pray that God’s light would shine in our fragile clay pots so that all would know it is God’s light shining in us. This has truly been a great encouragement to me, all who call themselves Christ followers must really come to understand how we are called to live. May the Lord be glorified through this treasure He has allowed you to understand. Thank you for sharing! Really blessed me. TO ENJOY GOD, to really live Christ: exude JOY and PRAISE and satisfaction… what a great shining light and an abundant life. So rare. What you encountered is such a beautiful gift that you then gifted us by sharing. I need this paradigm shift and want to live joyously IN CHRIST and really want God to create HIS JOY MORE in my life. Thanks again. Your blog was perfect timing for me! I have the awesome privilege of traveling to India in 2 WEEKS to Kolkata on a STM – yea!!!!!!!!!! I am going with 8 other awesome Jesus loving gals, 1 who has been there 2 times to work with Project Rescue (CAGE-the Horror & Hope; amazing book!) and Women at the Well. We have been planning and praying about this trip for months and the day is finally approaching (how do I make a ‘freak out’ face?). SO…to read your post made my eyes fill with water as I gazed into Karin’s beautiful face – OH…what beauty flows from her – THAT is Jesus! I did go back and view your beautiful photography from 2009 and I wanted to crawl inside the photos – amazing! Needed this reminder today, bogged down by stuff that just doesn’t matter. I so needed to read this today. Thank you for allowing God to speak through you. Have a blessed day. This is an amazing and wonderful post. I am blessed by your writing and the absolutely discriptive splashes throughout your post made me feel as if I were experiencing it all with you. I am so blessed by these words and may the Lord use them in me to continue His transformation in me and any other who read this. Melissa, I commented on your sister’s blog on this one! Love it so much! Love your heart! This makes me so excited to meet you in January! What a humbling and beautiful story. Thank you so much for sharing. I can’t even begin to explain in words what my heart felt as I read your post. I hadn’t sobbed in a while. I’m grateful to God that He lead you to share this with us. I can’t get over her smile. I can see Jesus right in her. God, do Your work in all of us who read this. Open our hearts to You. Last night in our Bible Study, “inheritance” QSBC, OKC. You said something just for me. I have just lost my older sister Deb, who was my dearest friend. We were orphaned at the age of 13 and 14 and had never gotten married. We lived together for 54 years. We have a Daycare in our home and so you can feel my pain as I stay where she and I lived so much of our lives together. When she died I was so lonely and I turned to my other true friend Jesus, who she introduced me to 37 years ago, and He said to me I have done nothing wrong to you, Pat, I told Him this was not fair to take away my only true friend and He said to me, just what you reminded me last night “Now, I AM your only true friend! !” This has brought such joy to me that when you say that last night on the video, I almost came out of my chair. I praise God for you and for the way you listen and do as He says. He also gave me Isiah 42:16 in the Message as a way to get through. I love you and pray for your health, and well being as we NEED more of you!!!! I’ve read many LPM blog posts, and most of them fade in a matter of hours from my memory. However, this one’s resonance has stayed with me. It’s been a low rumble for the past month and a half. This past week I heard a sermon and the pastor quoted from Martin Luther’s Large Catchism III: The 10 Commandments. It was his explanation of the first commandment. Wow! This post now coupled with that made Proverbs 30:7-9 and Kiran’s story ring loudly in my mind. My ears are even filled up with it. I’ve been convicted that I have more than enough, yet I continue to use Jesus to get more (a bigger idol) when Jesus should be enough. So thankful to be reminded of this as Thanksgiving and Christmas draw near It has become my meditation this season. Thanks Shaun Groves. This song is going to be on my holdiay playlist. I just want to let you know that your words continue to minister to my heart even if you have forgotten what you have said or written. What a weighty responsiblity God has entrusted to you. I pray that you continue to be humble and teachable before Him. “The brother [sister] in humble circumstances ought to take pride in his [her] high position.” I wrestled with that verse but now I have Kiran to explain it to me. I just have to say that this entry has stood the test of time! I often come back to this one because it moved me more than you could ever have imagined. I’ve linked it to friends and love the song. Thank you.